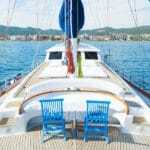 ﻿What's So Special About Oludeniz? Visiting the southern coast of Turkey will offer a wide assortment of beaches. Whether sandy or pebbly, there are many beautiful beaches that travelers can enjoy during their luxury boat holidays. 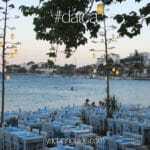 Among these is one place that has been the most popular and photographed in Turkey, attracting visitors all year round. If you have never seen Oludeniz, you may recognize this place from the aerial photos taken in the hundreds each year. The waters, so rich in blues and turquoise, situated with a backdrop of lush green hills and a beach, although pebbly, the sand is nearly white. 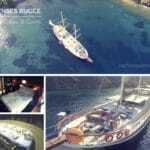 It’s located in the province of Mugla and 14km south of Fethiye. So what’s so special about Oludeniz (literally: Dead sea), other than it’s impressive beauty? Is it the crescent shape only noticed when viewed from atop? Or the fact that the waters are calm even during windy weather and rough seas? Or is it more? 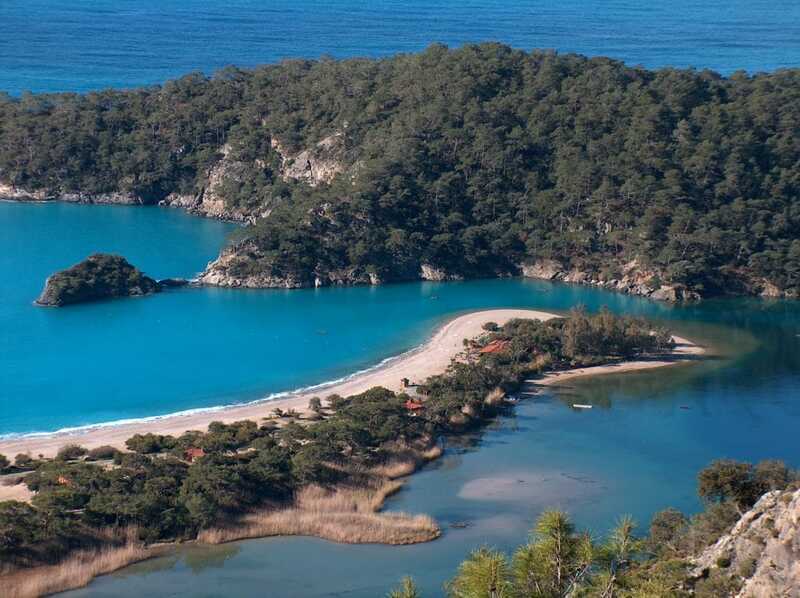 Well all of the above make Oludeniz – the Blue Lagoon, very special and alluring to its surrounding region. But the area also offers a paragliders paradise. From over 1900 meter elevation, a drive to the top of Mt. Babadag, enthusiasts whom are eager to try out this adrenaline pumping sport. It’s a wonderful experience and for first-timers, a pilot is also available. Photos can be taken from these heights which make for great memories to reminisce. The Oludeniz lagoon is a national natural reserve and generally rated in the top ranking as one of the best beaches in the world. Boat charters are not permitted to anchor by its beach nor is any constructed allowed in the area. Oludeniz is also renown as a part of the famous Lycian Way – trekking route which passes through Oludeniz. Oludeniz also encompasses a great community. For those who fall in love with Oludeniz, return year after year and meet with their new and old friends to once again enjoy great times, good food, and stunning scenery. It’s also a choice destination for weddings! 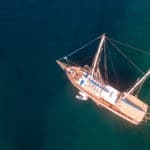 So if you’re heart’s set on exploring the amazing coastline of Southern Turkey on a luxury gulet charter holiday, then making a stop in Oludeniz will most certainly add treasures of many kinds to your trip! The coast of Turkey offers a wide assortment of beaches and when we say beaches, we mean beaches! You really don’t need to travel all the way to the Cayman Islands to get stunning beaches. 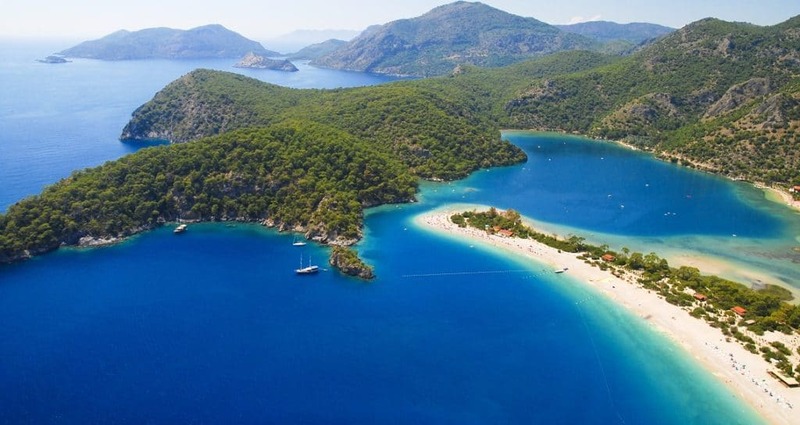 One of the most famous beaches you can find is Oludeniz in Turkey, also known as the Blue Lagoon. It’s unique sea ( hardly wind and very calm) and a fantastic view, makes the village very popular and one of the most photographed beaches in the world. It also has a Blue Flag, which means its completely safe and clean to swim. There is an entrance fee of TL 5 because the area is under Nature Management Protection. So now that you are at that stunning beach of Oludeniz please do one thing more! Get yourself to Babadag, which is right at the bottom of the valley and jump ( paragliding, base jumping) of that mountain, which gives you a view and an adrenaline rush that you have never experienced before. Oludeniz / Babadag is listed nr 2 on the top 10 paragliding sites, so grab this opportunity.